A few weeks ago, I moved from Guildford to Woking and decided to explore a few local nature reserves. Located south of the town centre, Prey Heath and Smart’s Heath are two SSSIs (Sites of Special Scientific Interest) sustaining a very diverse heathland fauna and flora. 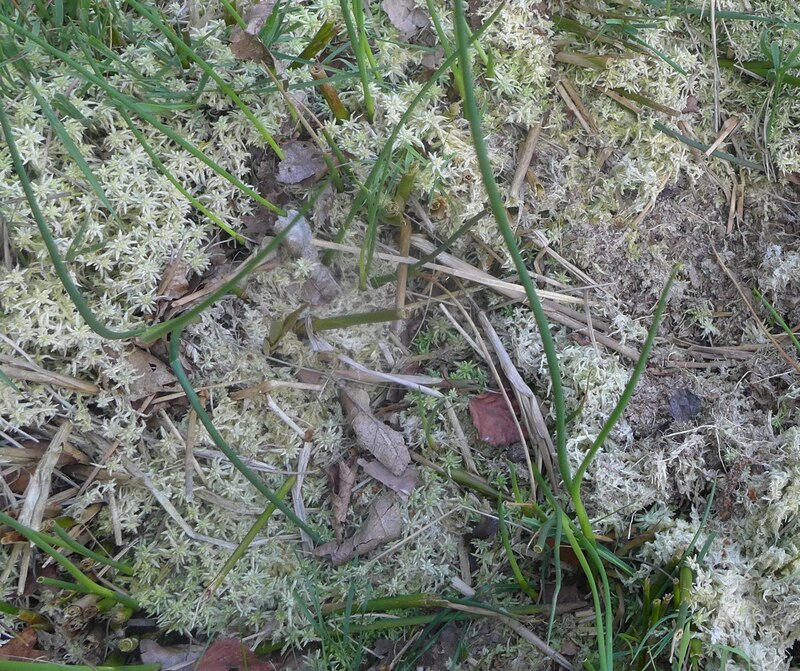 Both reserves were not grazed for many years, and as a result, have reverted to woodland (typical species of acidic soils include birch and pine), which are quite species-poor (unless you are a bryologist…err moss-addict!). 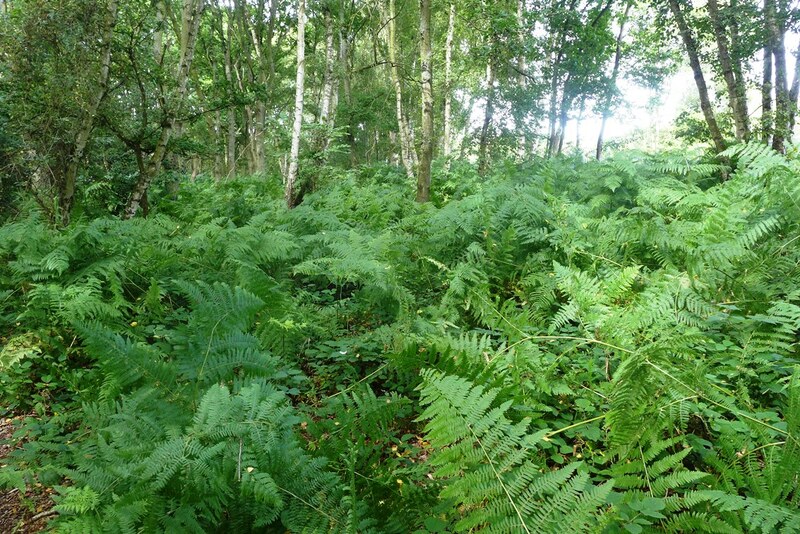 Another common invader of heathland is the bracken fern (Pteridium aquilinum). These ones in Smart’s Heath were taller than me…I almost felt in Jurassic Park! 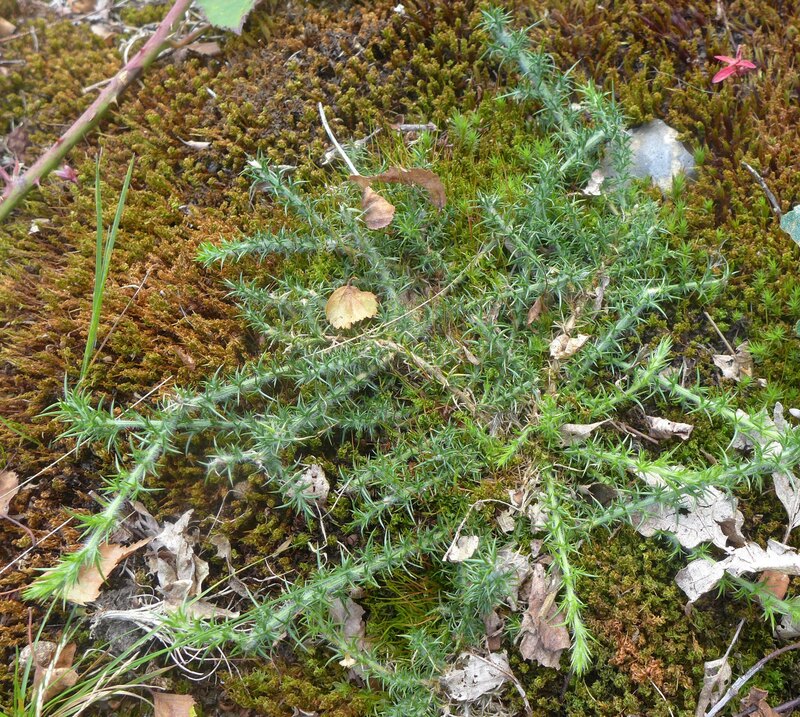 Prey Heath is slightly wetter than Smart’s Heath, and an interesting flora can be spotted there. Willows are a common sighting, here Salix cinerea (goat willow) and a very late-flowering Salix cinerea ssp. 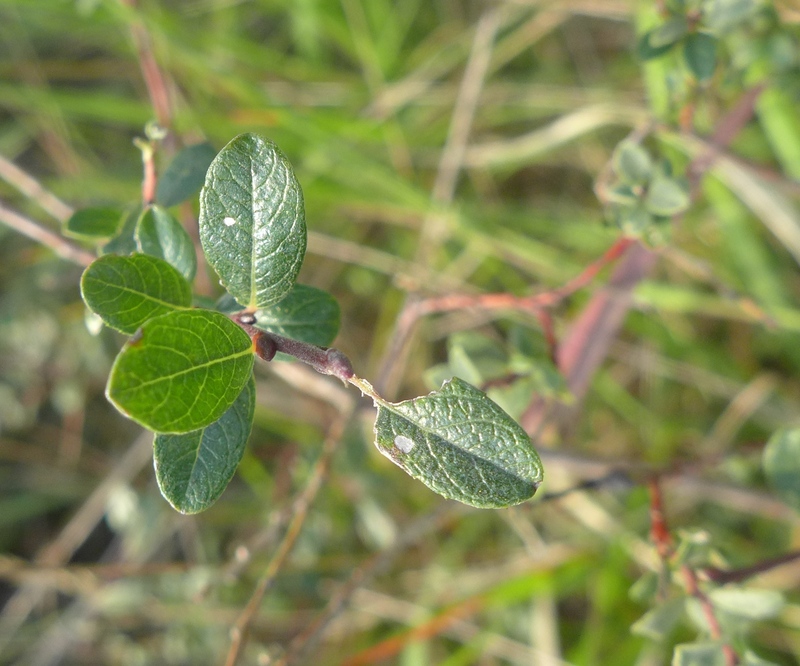 oleifolia (grey willow). 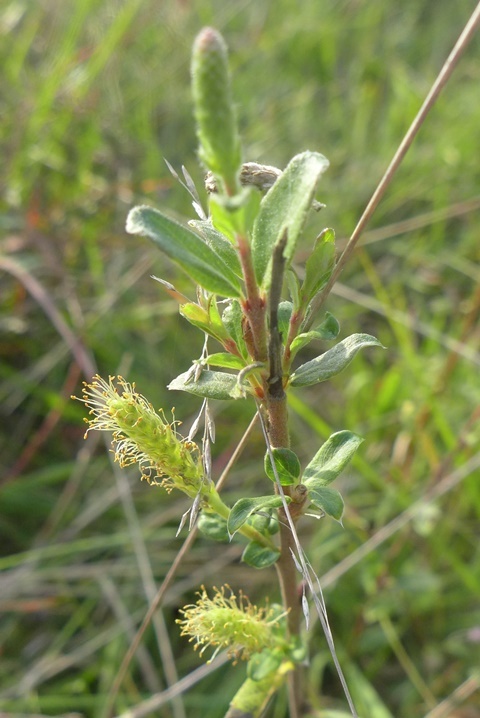 This reserve is also home to a population of rare Creeping Willow (Salix repens). 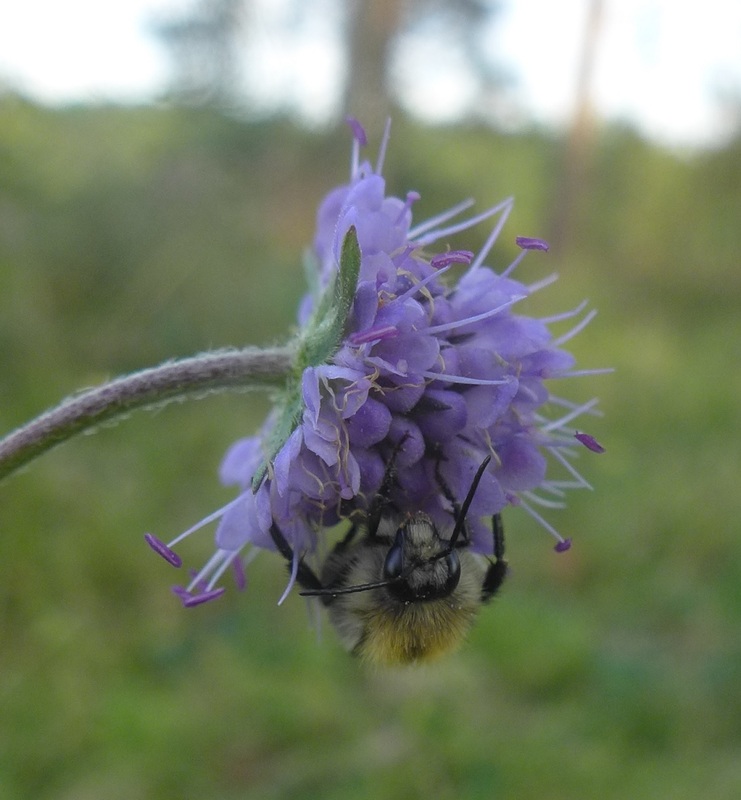 In a drier part of Prey Heath, the heathers have given way to grassland flora, such as the Devil’s Bit Scabious (Succisa pratensis) – popular with bees and bumblebees! 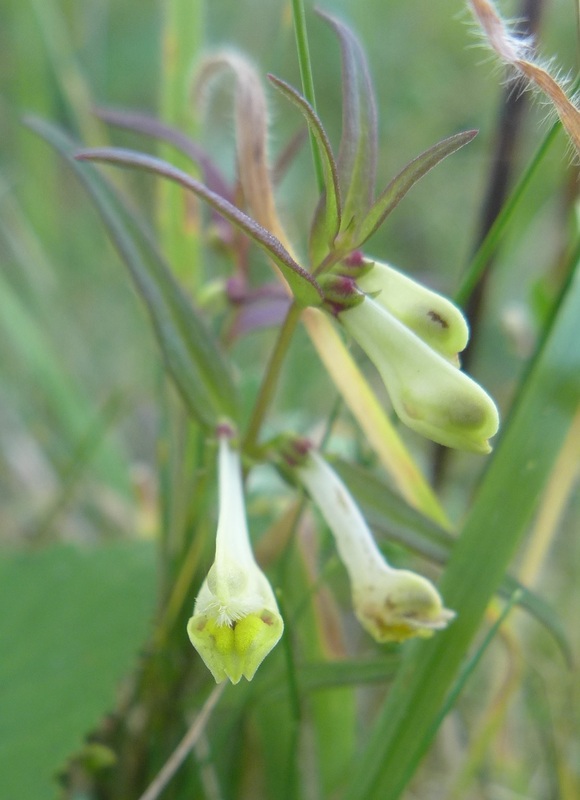 – or the Common cow-wheat (Melampyrum pratense). 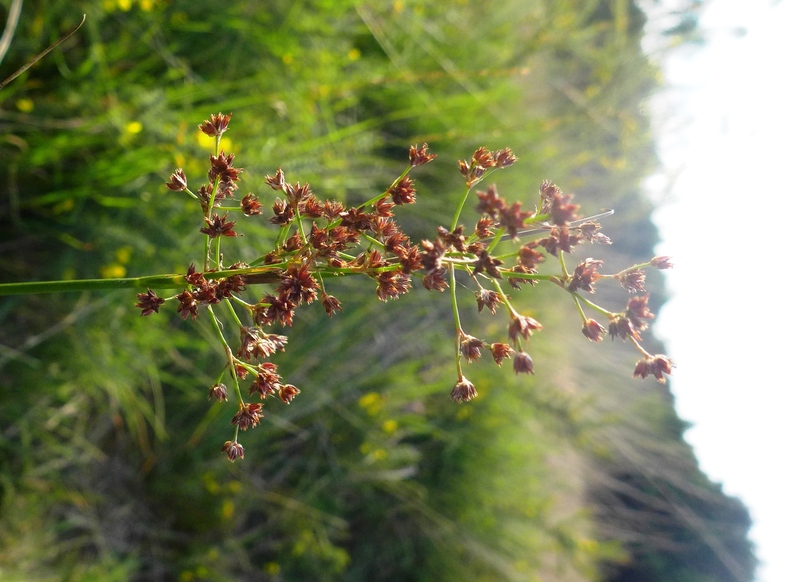 The latter is an inconspicuous but interesting parasitic plant which is also myrmechorous (its seeds are dispersed by ants). 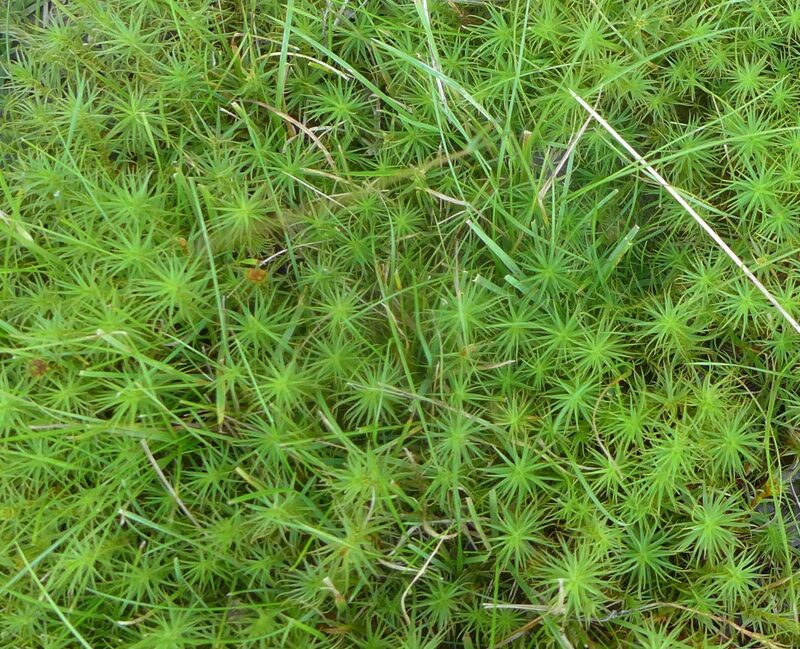 Heathlands are not only occupied by mosses and plants, fungi and algae also thrive in these wet, acidic conditions. 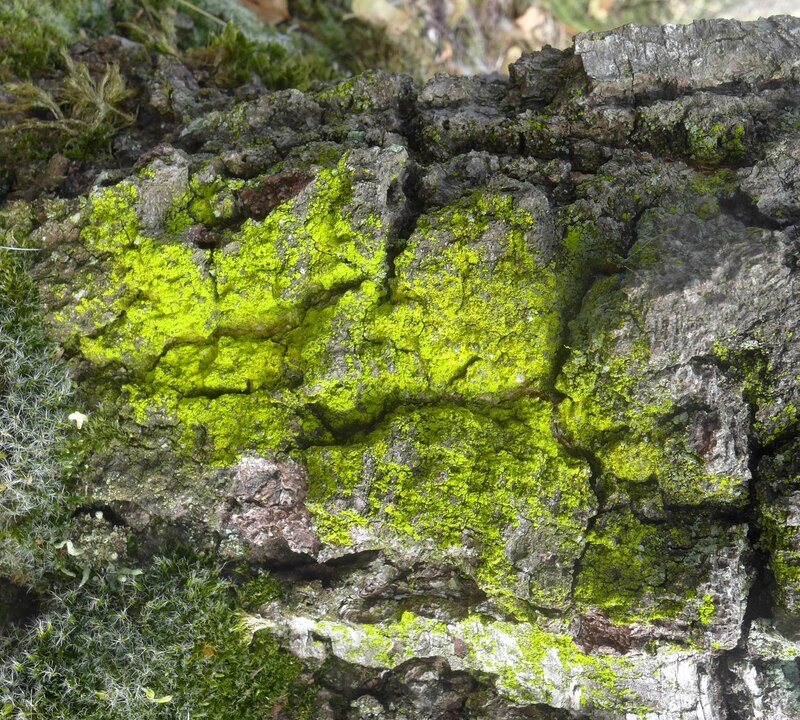 Here a close-up view of a polypore (wood fungus) and a striking, fluorescent lichen, Chrysothrix candelaris (Mustard Powder lichen…understandably)! 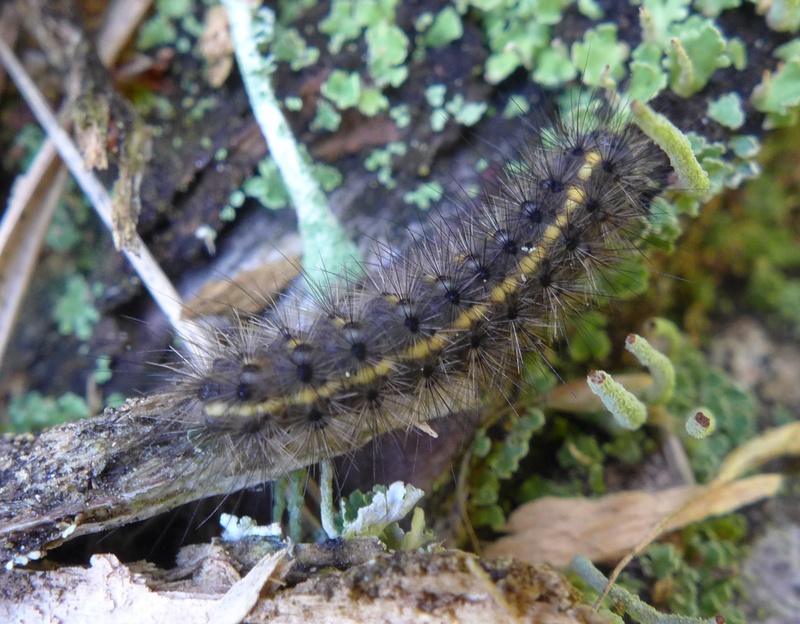 As you probably heard on the news, butterflies and moths emerged very late this season, which explains why caterpillars are still around in Autumn. 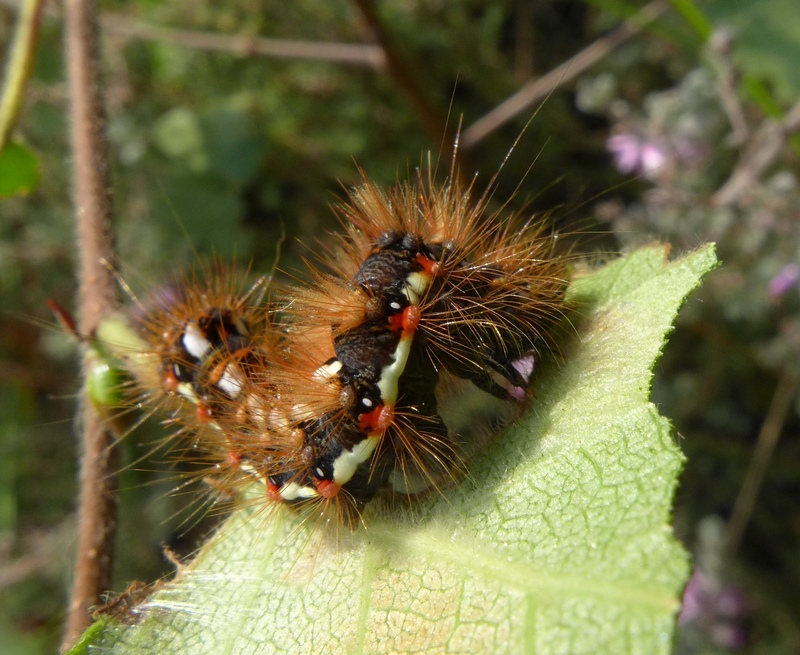 Two spiky / hairy ones spotted on Smarts Heath : Acronicta rumicis (or Knot Grass, whose larva is much more colourful than the adult) and the Ruby Tiger (Phragmatobia fuliginosa, where it’s quite the reverse situation – the adult moth has bright red wings and body). 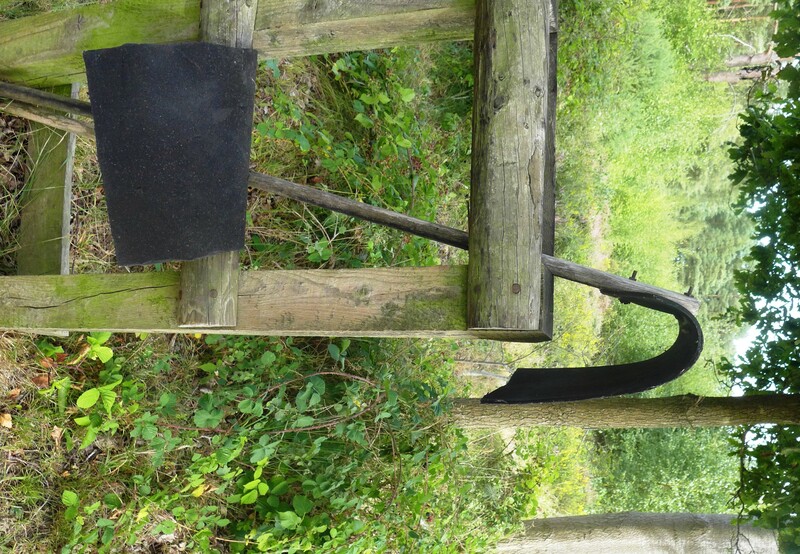 And finally, mysterious tools that I spotted while wandering in the two reserves…any ideas? No? Well, these are rubber beaters (i.e a flat rubber mat mounted on a wooden stick), which are used to fight heathland fires. Each year, Surrey county has to face devastating fires, and dry summers like the past ones are threatening the heathland even more, so everything has to be done to prevent the fires from spreading. I’m a Heath too, and one born in Surrey! I should really go and visit this beautiful place. Thanks for the photos. Thanks Emily! The two reserves seem to be relatively unknown (apart from local dog walkers) as they are not part of the local Wildlife Trust’s network, but they are both very interesting. 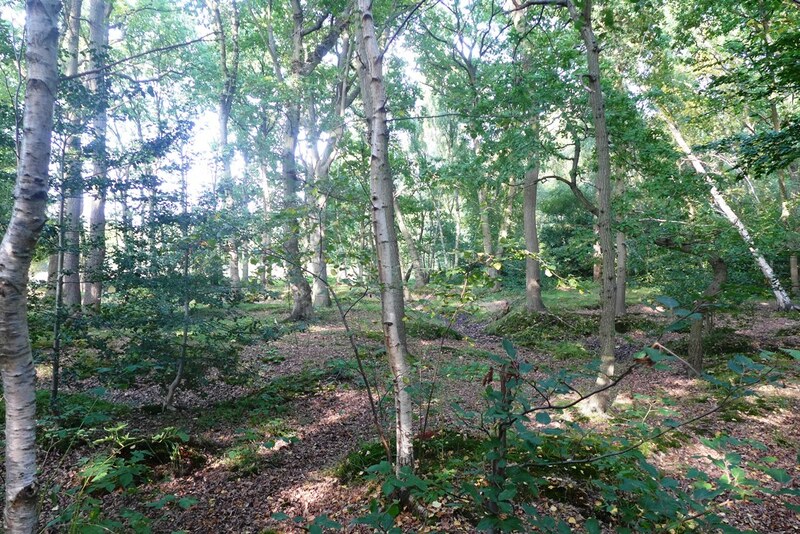 Reblogged this on Scarborough Conservation Volunteers & Scarborough Woods Action Group. I didn’t know that heath fires were so common in Surrey. Does the heathland regenerate after such fires? They do regenerate up to a certain extent. On some reserves management involves controlled fires (from what I understand, it’s a common practice in Scotland). 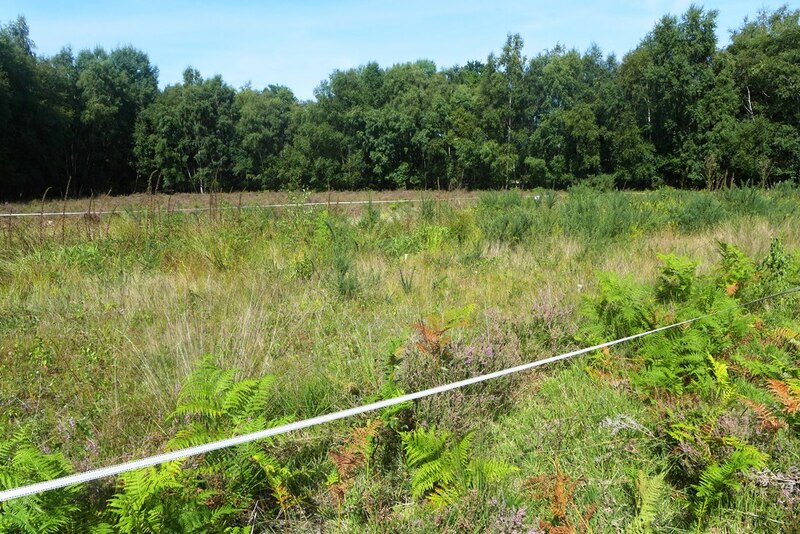 Kept to a small scale and on precise areas, it helps diversify the age and height of the heathers, which can in turn increase animal diversity. 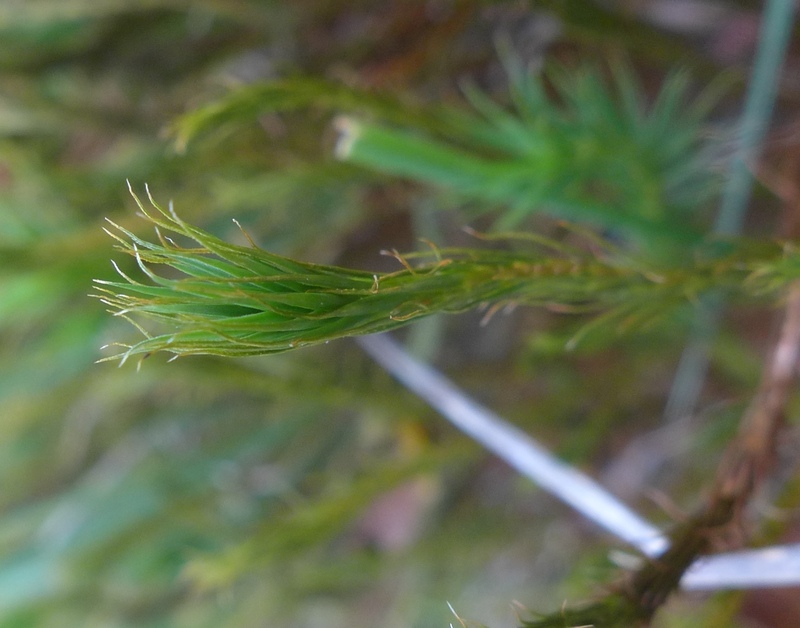 But it needs to be done out of the breeding season, and it’s usually detrimental to mosses and lichens, so comprehensive surveys have to be done beforehand to avoid destroying rare species. I love your photos, it looks like a fantastic place to visit. 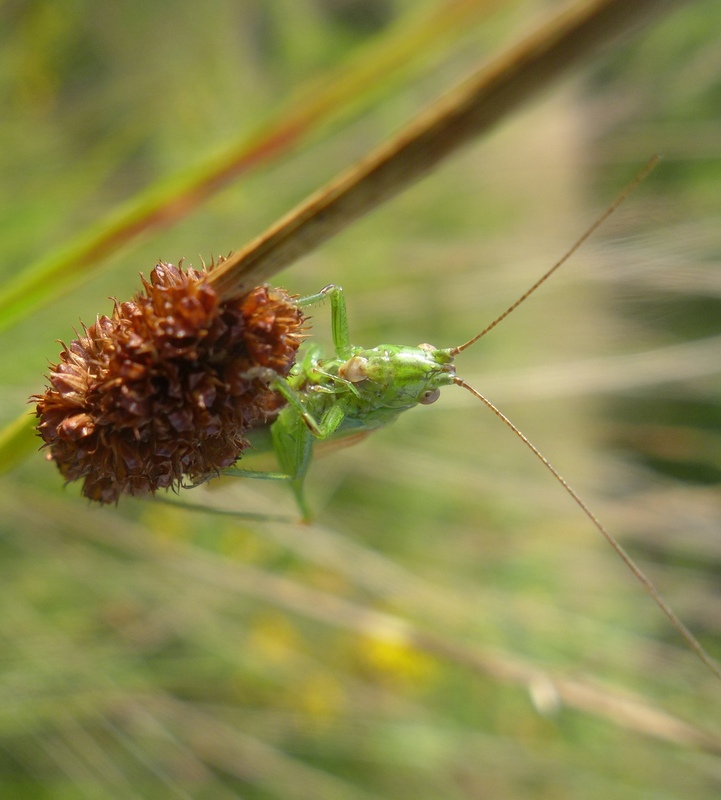 I’m particularly interested by the conehead grasshopper, was it introduced on purpose? And where did it come from? I’ve heard of these before but never seen one. 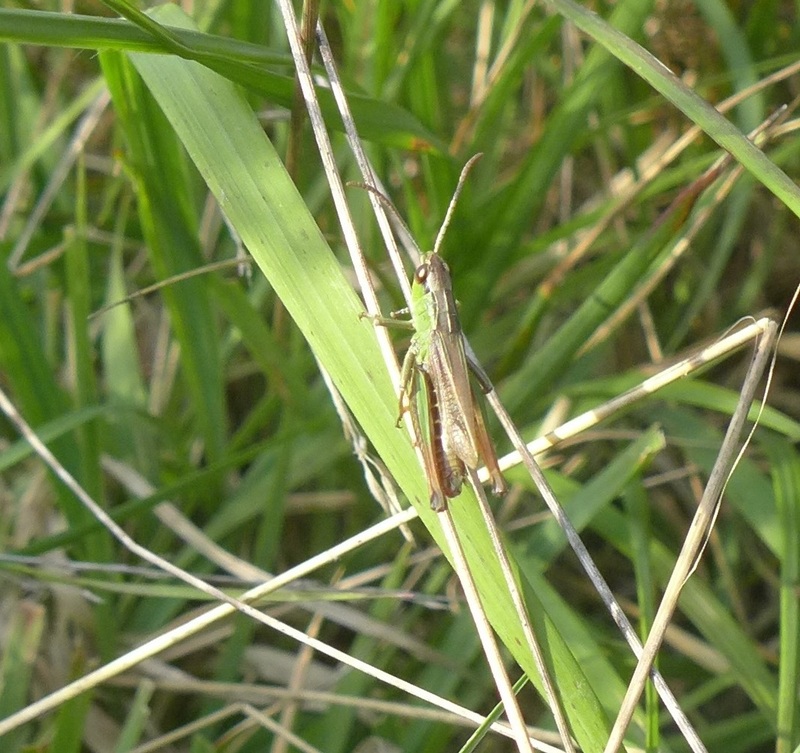 Thank you 🙂 The Conehead grasshopper apparently came on its own from the continent. It was first recorded on the Isle of Wight in 1931, and in UK mainland in 1945 and has been spreading north since then (it’s now widespread in the South, and it has been recorded as high as Nottinghamshire). It seems to be able to survive in a variety of habitats, and climate change probably helps his dispersion too!